BUT something that isn’t seasonal and burns strong and bright in my heart all year round is my love for cats. 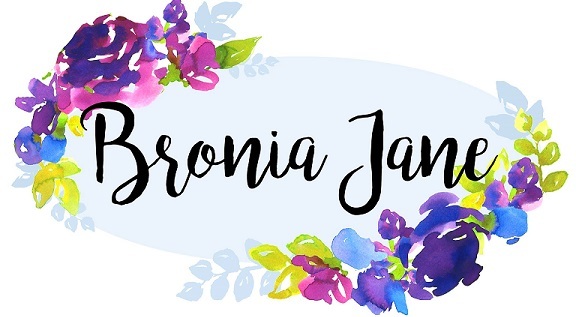 Really, it’s surprising that I’ve got this far into my blog without mentioning them yet. I really love cats. A whole lot. There's a reason this post has so many photos in it and that is because I simply can't control myself. Cats are too good. 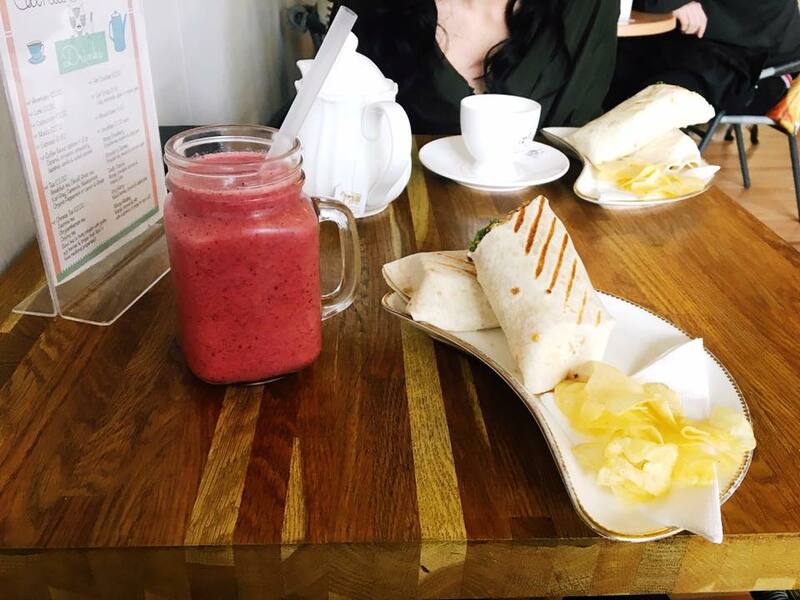 This weekend I returned to one of my favourite places in Newcastle, Catpawcino, and since I love it so much I thought it deserved its own blog post. 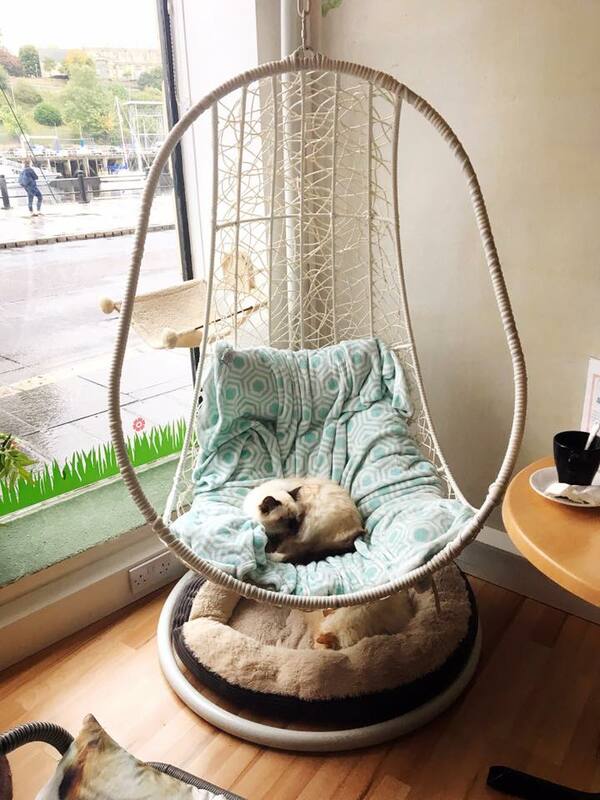 Catpawcino is a cat café on Newcastle Quayside, looking out over the River Tyne which means it gets a lot of people looking in as they walk past but this doesn't seem to bother any of the cats in the slightest. The number of cats they have is always changing because they take in a few foster cats every few months so if you take a liking to one of these particular cats while you're visiting you could get to take them home with you. The cafe serves a range of hot and cold drinks, soup, sandwiches, panini's, cakes and even afternoon tea. Despite the fact it has quite a large menu, the first few times I visited the café I just got a Diet Coke because nothing else was vegan which always made me feel kind of awkward for some reason. Like most cat cafés, you pay a £5 entry fee which goes towards the upkeep of the cats so it wasn’t like the cost of my drink was all I was contributing but I still felt like if I loved the place so much I should be buying more to support the business. This recently changed because they now offer a vegan falafel wrap (which is very good) and all but one of their smoothies are vegan (which is even better). I think they also offer gluten free cakes but I’d really love them to add vegan sweet options to their menu at some point too. But I can’t complain too much because they’ve obviously listened to customer feedback and now I can go and actually eat and not just sit there awkwardly with my Diet Coke which is something a lot of places still don’t accommodate for. 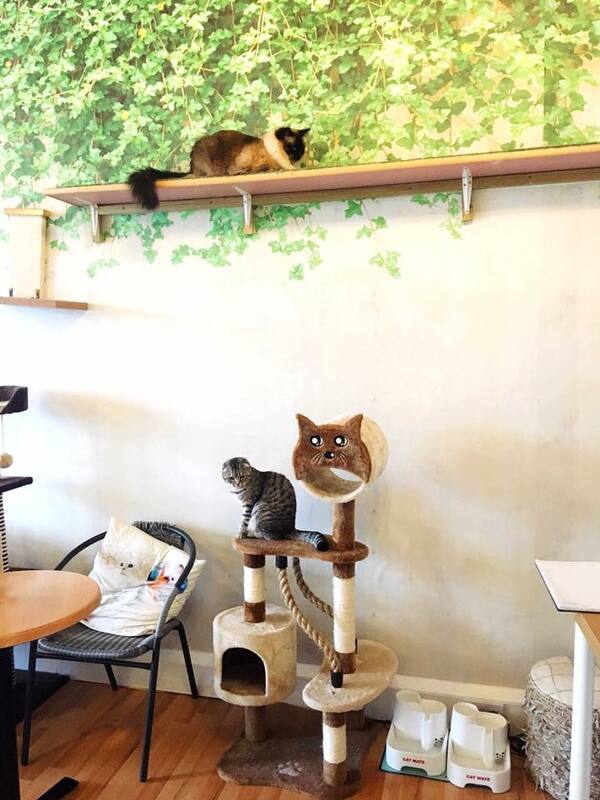 The café is so nicely decorated, with portraits of some of the cats on the walls and cat toys and cat trees dotted around the tables so a small space actually feels quite big and not at all cramped. Some of the cats are immortalised on the cushions on the seats which can definitely make you have a double take and even the teapots have cats adorned on the side. Have I mentioned how I love everything about the place??? The cats are all so friendly and are really comfortable around people to the point where if you leave your seat for too long, you’re not necessarily going to get it back. It very much feels like it’s their space and you are a visitor in that space and I feel like that’s the way it should be in a café with animals. 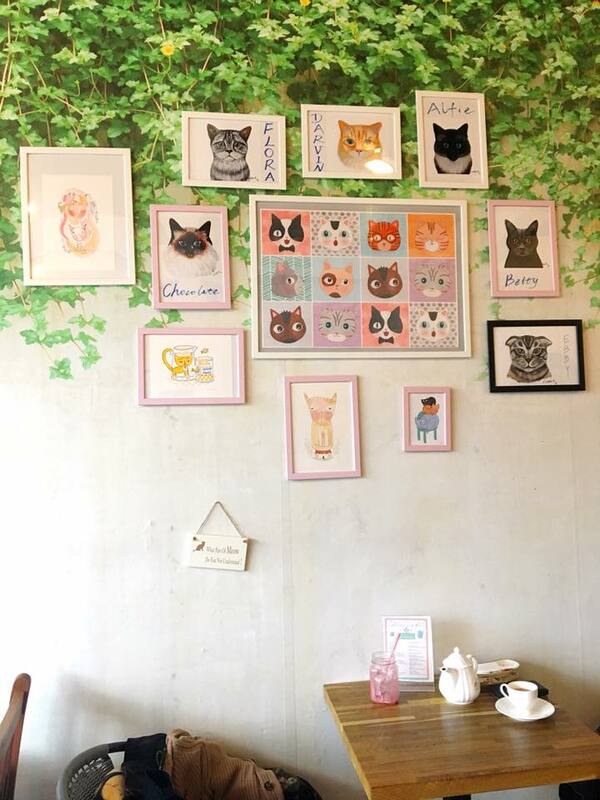 Another thing that sets Catpawcino apart from other cat cafés I've visited is that most of the cats are exotic breeds, with an exotic shorthair, two Scottish folds, two birman points, a ragdoll, and probably more breeds that I can’t remember. I love domestic shorthairs (or moggies as they’re more commonly known) and when I get my own cat it will most likely be one because I strongly believe in rescuing animals from shelters, but I also appreciate the opportunity to see these breeds. 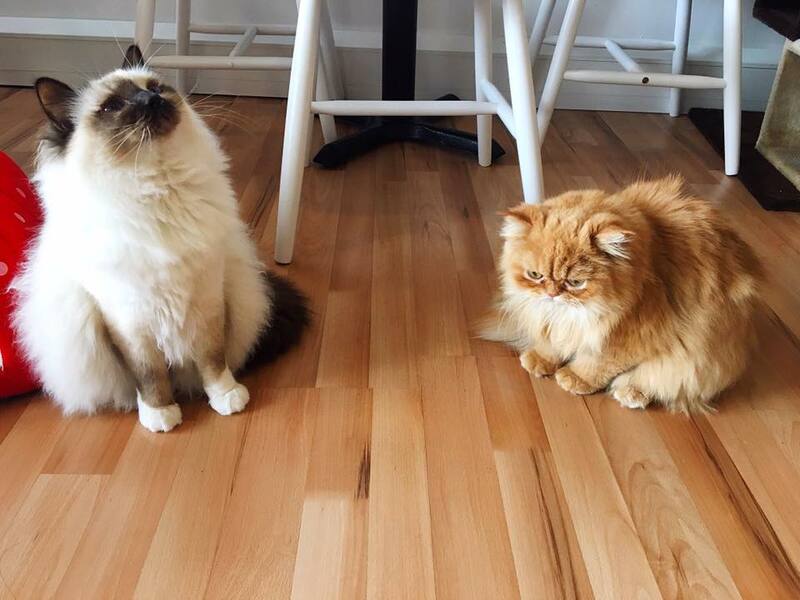 If anything, it makes me more inclined to go to Catpawcino because I don’t know anywhere else I could go to see a ragdoll cat without visiting a breeder. I actually used to google ragdoll kittens when I was stressed about my deadlines at uni, so knowing I can go see the real thing in Newcastle whenever life is getting a bit too stressful is definitely a comforting thought. If I’m coming across as a crazy cat lady, it’s because I basically am. I think I’ve gushed about cats enough, although I definitely could go on all day. There’s just something about them which is so precious and magical and warms my heart like nothing else. Until I’m in a position where I can get my own cat, cat cafés are the next best thing and I’m lucky enough to live near a city where there are two. Newcastle also recently opened a dog café which I’m very curious to try because I’ve never been to one before and I’ve been told that they have a pug so I’m basically already sold. 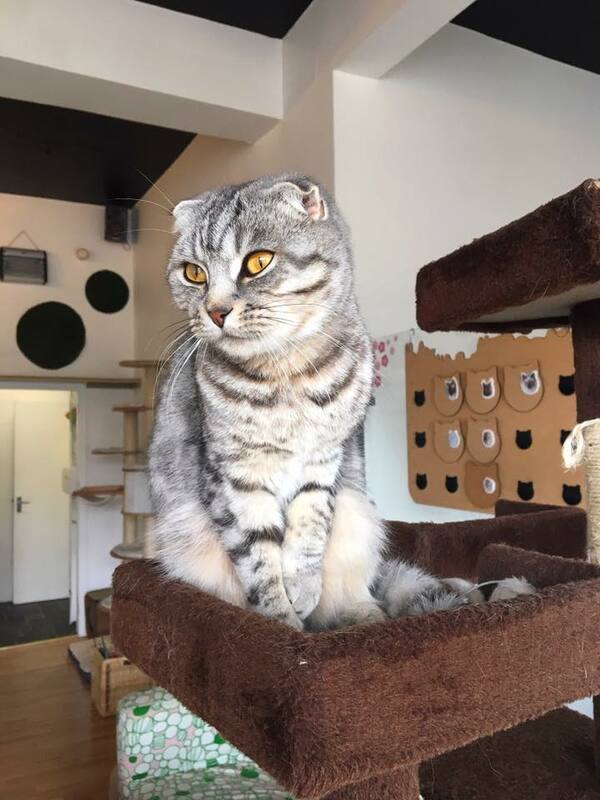 Have you been to a cat café before? What did you think? Oh my lord! After reading this I just have to visit a cat cafe now! This one sounds fabulous to say the least and those kitties are just beautiful. The decor is stunning and the prices aren't too bad either are they?! Fab post! 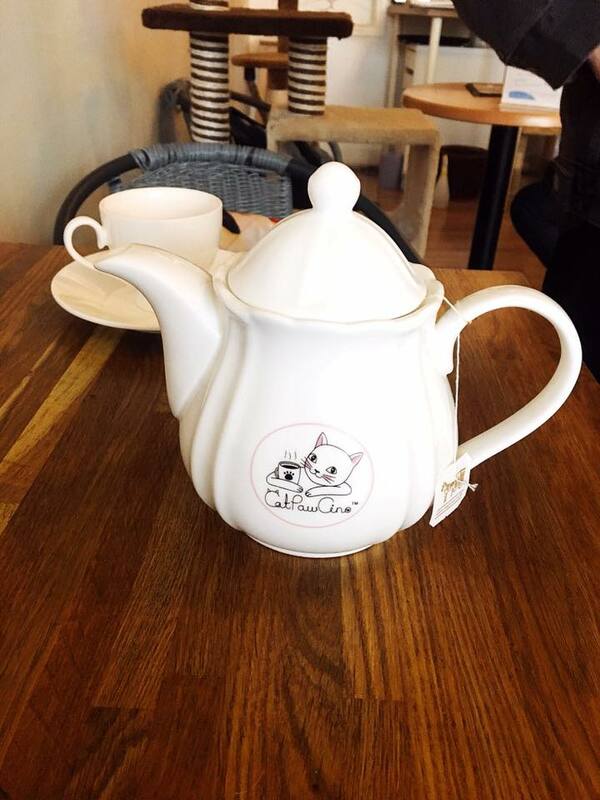 Interesting a cat cafe, I love the cute teapot. This sounds like the coolest cafe! I love the idea of getting to see the cats and it's great to see they have vegan options too! I'm definitely a cat person as you can probably tell but I am excited to go to the dog cafe! It's such a nice cafe. I'm the same but I think that's why the cafe is such a good idea, it's all the fun of pets without having the responsibility! I adore cats! I've never been allowed to keep one myself so I love visiting my sister and cuddling with hers. I'd love to go to a cat cafe (I think there might be one in Manchester? So I might be able to go to that at some point!). All of these kitties are adorable. Cats are my favourite thing in the whole world, they're all so precious. There's definitely at least one in Manchester, you should go! I have heard of these cafe's before but never been to one as im sure there are not many and probably too far away for me but i hope the dog cafe is just as good! They're getting more popular so one might open near you soon! I think every city should have at least one personally! So I am not a major cat lover but I loved your post. You sound so passionate. I never even knew that cat cafes were a thing. I am so intrigued to see one in real life now. Keep up the writing! Thank you! I am definitely passionate, cats are my favourite thing. Hope you get to visit one! This post filled me with joy. I am a self confessed crazy cat lady so visiting a cat cafe is definitely on my bucket list. Lets just talk about the name of the cafe. Catpawcino?! Adorable. I share your love of cats too!! Gutted that I'm allergic. This place looks too precious, there's somewhere similar to this in London that I'm desperate to go to! Oh no, being allergic to cats is my nightmare! There are quite a few in London I think, I really want to visit them all honestly! This is such a cute post. I love the photos you took, too; they really help captivate the experience. Unfortunately I've been unable to visit a cat cafe myself because there aren't any local to where I live, but it's definitely on my bucket list! Thank you! Aw no I hope one opens up near you soon! I actually have been to a cat cafe and it was very sweet! 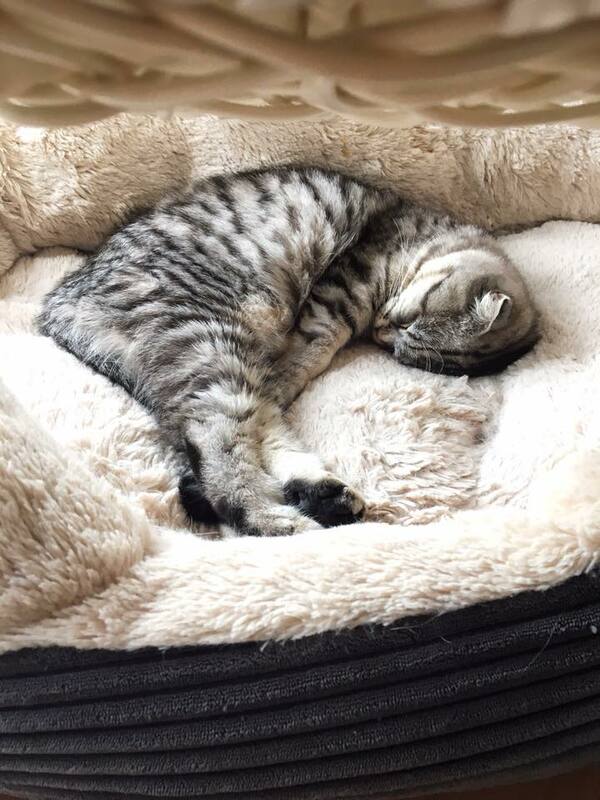 And that last photo of the cat sleeping is so. precious. Also I really want that cat tea pot haha.